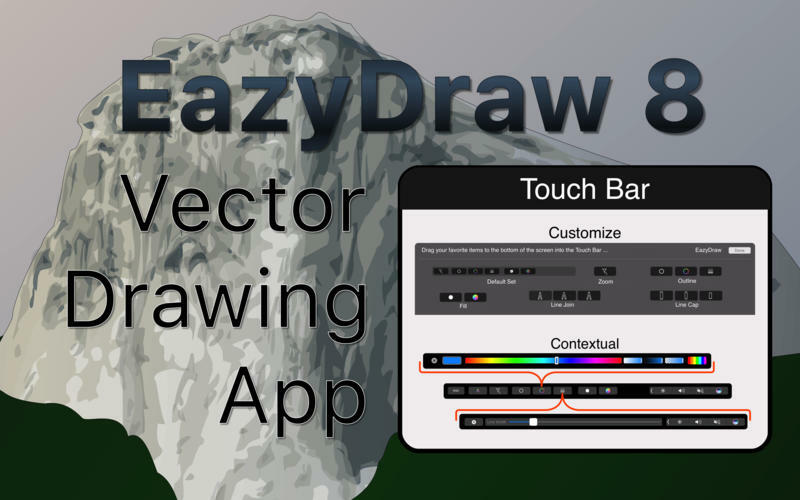 For the full journey from Jaguar (OS X 10.2) to macOS Sierra’s crisp high definition technology EazyDraw has been the leading drawing App for the new vector drawing paradigm on macOS. EazyDraw marries the latest macOS technology with the innovative elegance of the original Mac drawing programs. 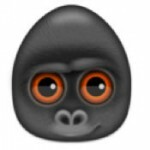 Productivity: quit processing words and start communicating ideas. An easy to use drawing App is great for communicating ideas. EazyDraw provides flexible, beautiful text typesetting for your written message plus full featured integrated illustration capability. EazyDraw provides a balanced feature set that includes tools needed for technical drawing, web and App graphic design, print publishing, logos, page – text layout and more. Easy enough for everyone but with the depth your project will need. Includes comprehensive support for bitmap and vector graphic formats: Import and ungroup for edit PDF, and EPS. Import and export SVG and DXF. Preview and publish to EPS and TIFF with RGB or CMYK process colors. Exchange scaled CAD drawings using DXF. Publish web graphics. Create Mac, iPhone and iPad App development graphics and icons. Effulgent on Retina. 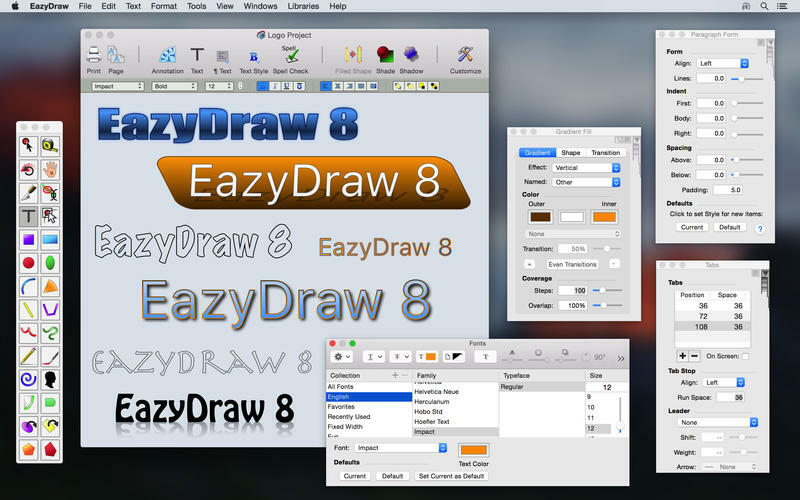 EazyDraw 8’s user interface is optimized for the newest Retina 5k technology. User interface graphics are dual mastered high resolution icons and images. Use EazyDraw to create 5k display content. App and Web developers can use EazyDraw to design and produce multi-image 5 k png graphics or SVG vector master user interface elements. Features: Layers, Multiple Drawing Windows, Symbol Libraries, English and/or Metric units, Drawing Scales, Vector Hatches, Grids and Guides, RGB and CMYK colors.